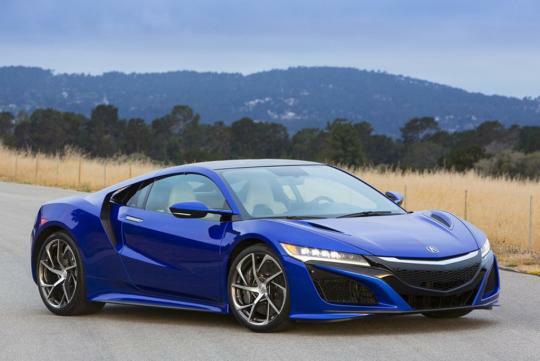 According to Autocar, Nick Robinson, Dynamic Development Leader of the NSX project, was quoted saying that while the NSX Type R project has not been given the green light, there is huge motivation in Honda to make it happen. Of course, not much else is known about how normal NSX would differ from a NSX Type R but one possibility is Honda could remove most of the hybrid system to shave off some weight. An estimated 100kg or more could be removed from the 1725kg kerbweight if they do choose to do go non-hybrid. In the interview, Robinson also admitted that active aerodynamics for the NSX was researched but not implemented, hence the NSX Type R might get a chance to benefit from it. On another note, he also said that there is a maintenance mode buried deep inside the menus of the standard car in which the ABS and all three electric motors could be disabled. Interestingly, in this mode, the NSX is said to be a decent 'drift machine' but Robinson did pointed out that the handling and steering are a bit odd in this mode, as the latter is developed to work in conjunction with the front electric motors. It is the finished product. However whether it will arrive on our shores remains to be seen as it should cost more than half a million. You can read more about the NSX below.